How many times have you upload a video in YouTube and Vimeo and it has been erased because of the music used on the video? You can avoid this by searching on the royalty free music library on the web site “Stock Music Site” and downloading the song that you like the most. That way, your videos will be safe and other people may see them with no problem. 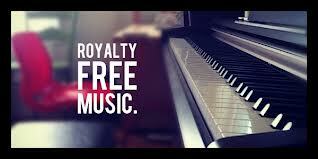 This entry was posted in Music and tagged music, royalty free by Carolina Goodfellow (Google+). Bookmark the permalink.